Its here!! 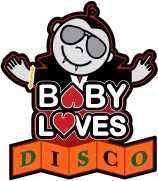 Baby Loves Disco's Annual Boo Baby Boo Halloween Spectacular on October 25th! ChiIL out with ChiIL Mama. We're your best source for the family friendly music scene in Chi, IL and beyond. Check back like we vote in Chi, IL... early and often for loads of giveaways, original video interviews, reviews & news on fam friendly events! First to comment below on the actual blog or on our FB pages comments (before midnight 10/23) with your full name for the guest list wins! We will confirm winner in the comments section since we're cross posting. Who needs an excuse to play dress up? Our kids certainly don't! Come one come all dressed in your fave Halloween costume. We'll have trickery, treats and costume contests as we celebrate BLD Halloween style! All the juice boxes your kids can drink from HonestTea, super yummy snacks and a foodie demo from Whole Foods & cash bar for parents. buy them before they sell out !! Non-walking babies get in FREE! Geared toward 6 mos to 7 yrs.